q ACEVEDO F., GODOY E. & SCHOFIELD C.J. (2000) Comparison of Intervention Strategies for Control of Triatoma dimidiata in Nicaragua. Mem Inst. Oswaldo Cruz, Rio de Janeiro, 95(6):867-871.
q ARISMENDI N. & THOMAS D.B. (2003) Pentatomidae (Heteroptera) of Honduras: a checklist with description of a new ochlerine genus. Insecta Mundi, 17(3-4): 219-236. [cita Nicaragua]. q BARCELLOS A. & GRAZIA J. (2003) Revision of Brachystethus (Heteroptera, Pentatomidae, Edessinae). Iheringia, Ser. Zool., Porto Alegre, 93(4):413-446.
q BARGUES M.D., MARCILLA A., RAMSEY J.M., DUJARDIN J.P., SCHOFIELD C.J. & MAS-COMA S. (2000) Nuclear rDNA-based Molecular Clock of the Evolution of Triatominae (Hemiptera: Reduviidae), Vectors of Chagas Disease. Mem. Inst. Oswaldo Cruz, Rio de Janeiro, 95(4):567-573.
q BERANGER J.-M. & PLUOT-SIGWALT D. (1997) Special relationships of certain predatory Heteroptera Reduviidae with plants. First know case of a phytophagous Harpactorinae. Comptes Rendus de l’Académie des Sciences, Paris, Sciences de la Vie, pp.1007-1012. q CARPINTERO D.L. & DELLAPE P.M. (2005) A new species and first record of Embiophila (Heteroptera: Plokiophilidae) from Nicaragua. Studies on Neotropical Fauna and Environment, 40(1): 65-68.
q CHĖROT F., CARPINTERO D.L. & MAES J.M. (2006) Sur une collection de Miridae du Nicaragua (Insecta, Heteroptera). Nouv. Revue Ent. (N.S.) 23(2):173-190, Paris, janvier 2007.
q COSTA J., PETERSON A. T. & BEN BEARD C. (2002) Ecologic Niche Modeling and differentiation of Populations of Triatoma brasiliensis Neiva, 1911, The most important Chagas’ Disease Vector in Northeastern Brazil (Hemiptera, Reduviidae, Triatominae) Am. J. Trop. Med. Hyg. 67(5): 516-520.
q EPLER J.H. (xxxx) Identification Manual for the Aquatic and Semi-Aquatic Heteroptera of Florida. Florida Department of Environmental Protection 2600 Blair Stone Road Tallahassee, Fl 32399-2400, 195pp. q EVANS G. A. & HALBERT S. E. (2007) A Checklist of the Aphids of Honduras (Hemiptera: Aphididae). Florida Entomologist, 90(3); 518-523.
q FORTES P., MAGRO S.R., PANIZZI A.R. & PARRA J.R.P. (2006) Development of a dry artificial diet for Nezara viridula (L.) and Euschistus heros (Fabricius) (Heteroptera: Pentatomidae). Neotropical Entomology, 35(5) :567-572.
q HET NEWS: Newsletter of the UK Heteroptera Recording Schemes. o No. 9 Spring 2007.
q HODGES G.S. (2007) A new species of Dialeurodes Cockerell (Hemiptera: Aleyrodidae) on Schefflera Forst and Forst in Florida. 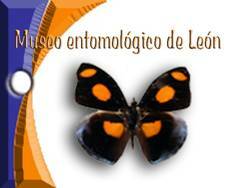 Insecta Mundi A Journal of World Insect Systematics 0016:1-5.
q JESSEP C.T. (xxxx) A preliminary note on the control of Nysius huttoni White using chemicals. Pp. 20-21.
q JURBERG C. (2005) Jocélia Grazia. Biobibliografia / Biobibliography. Entomol. Vect. 12(1): 1-18.
q KERZHNER I.M. & SCHUH R.T. (1998) Replacement names for junior homonyms in the family Miridae (Heteropotera). Zoostematica Rossica, 7(1):171-172.
q KERZHNER I.M., KUZNETSOVA V.G. & RIDER D.A. (2004) Karyotipes of Pentatomoidea additional to those published by Ueshima, 1979 (Heteroptera). Zoosystematica Rossica, 13(1):17-21.
q LUGO E. & MARIN F. (1999) Resultados de una encuesta entomologica de Triatominos (Heteroptera: Reduviidae: Triatominae) Realizada en 15 departamentos de Nicaragua, 1998-1999. Rev. Nica. Ent. (2005), 65:1-12.
q MAES J.M. (1992) El Chagas... Una enfermedad de pobres. Nuevo Diaro, 30-VII-1992. q MAES J.M. (1992) Los Triatominae (Heteroptera: Reduviidae) en Nicaragua. Revista Nicaraguense de Entomología, 21:1-8.
q MAES J.M. (1995) Ficha "Insectos plagas" N°5. El chinche patas de hojas. Revista Productores, iii-95, 41:2 pp. q MAES J.M. (1996) Un nuevo Triatominae (Heteroptera: Reduviidae) para la fauna de Nicaragua. Memoria II Encuentro científico en Salud. Ministerio de Salud, Centro Nacional de Diagnostico y Referencia, Managua, Nicaragua, Diciembre 12 1996, p. 34.
q MAES J.M. (1997) Fauna entomológica de la Reserva Natural BOSAWAS, Nicaragua. XIII. Panstrongylus rufotuberculatus, un Triatominae (Heteroptera: Reduviidae) nuevo para la fauna de Nicaragua. Revista Nicaraguense de Entomología, 41:19-22.
q MAES J.M. (2002) Triatominae (Heteroptera Reduviidae) de Nicaragua. Bulletin de la Société royale belge d’Entomologie, 138:90-94.
q MARRERO ARTABE L. & MARTINEZ M. De los A. (2003) Ocurrencia de heteropteros en agroecosistemas cubanos de soya (Glycine max (L.) Merrill). Rev. Protección Veg., 18(2):98-103.
q PALMA GUZMAN R., RIVERA B. T. & MORALES G. W. (1996) Domestic vectors of Chagas’ Disease in three Rural Communities of Nicaragua. Rev. Inst. Med. Trop. Sao Paulo, 38(2):113-140.
q PETERSON A.T., SANCHEZ-CORDERO V., BEARD C.B. & RAMSEY J.M. (2002) Ecologic Niche Modeling and Potential Reservoirs for Chagas Disease, Mexico. Emerging Infectious Diseases, 8(7): 662-267.
q PONCE C. (1999) Elimination of the Vectorial Transmission of Chagas Disease in Central American Countries: Honduras. Mem Inst Oswaldo Cruz, Rio de Janeiro, 94,Suppl.I:417-418.
q PONCE C. (2006) La Enfermedad de Chagas en America Central. Taller Alcue Health Enfermedad de Chagas. Determinantes Epidemiologicos y Sociales. Rio de Janeiro Brasil, 48pp. q REMES LENICOV A.M.M.DE., PARADELL S.L. & CATALANO M.I. (2006) Hemipteros Auquenorrincos asociados al cultivo de sorgo en la Argentina (Insecta: Hemiptera) RIA, 35(2):3-20.
q RIDER D.A. & ROLSTON L.H. (1986) Three new species of Acrosternum Fieber, Subgenus Chinavia Orian, from Mexico (Hemiptera: Pentatomidae) J. New York Entomol. Soc. 94(3):416-423.
q RIDER D.A. & ROLSTON L.H. (1989) Two new species of Mormidea from Mexico and Guatemala (Heteroptera: Pentatomidae) J. New York Entomol. Soc. 97(1):105-110.
q RIDER D.A. (1989) Review of the new world species of the genus Neottiglossa Kirby (Heteroptera: Pentatomidae). J. New York Entomol. Soc. 97(4):394-408.
q RIDER D.A. & CHAPIN J.B. (1991) Revision of the genus Thyanta Stal, 1862 (Heteroptera: Pentatomidae) I. South America. J. New York Entomol. Soc. 99(1):1-38.
q RIDER D.A. (1991) Revision of the genus Thyanta Stal, 1862 (Heteroptera: Pentatomidae) I. South America. Journal of the New York Entomological Society 99(1):39-77.
q RIDER D.A. (1991) Rhyssocephala, new genus, with the description of three new species (Heteroptera: Pentatomidae) J. New York Entomol. Soc. 99(4):583-610.
q RIDER D.A. & CHAPIN J.B. (1992) Revision of the genus Thyanta Stal, 1862 (Heteroptera: Pentatomidae) II. North America, Central America, and The West Indies. J. New York Entomol. Soc. 100(1):42-70. (Cita Nicaragua). q RIDER D.A. & CHAPIN J.B. (1992) Revision of the genus Thyanta Stal, 1862 (Heteroptera: Pentatomidae) II. North America, Central America, and The West Indies. J. New York Entomol. Soc. 100(1):71-98. (Cita Nicaragua). q RIDER D.A. (1992) Revision of Arocera spinola, with the description of two new species (Heteroptera: Pentatomidae). J.New York Entomol. Soc. 100(1):99-136.
q RIDER D.A. & ROLSTON L.H. (1995) Nomenclatural changes in the Pentatomidae (Hemiptera: Heteroptera). Proc. Entomol. Soc. Wash. 97(4):845-855.
q RIDER D.A. & EGER J.E. (1995) Names proposed and taxonomic publications by Lawrence H. Rolston. Journal of the New York Entomological Society 103(4)350-359.
q RIDER D.A. (1998) Nomenclatural changes in the Pentatomoidea (Hemiptera-Heteroptera:Cydnidae, Pentatomidae). II Species Level Changes. Proc. Entomol.Soc. Wash. 100(3):449-457.
q RIDER D.A. (1998) Nomenclatural changes in the Pentatomoidea (Hemiptera-Heteroptera: Pentatomidae, Tessaratomidae). III. Generic Level Changes. Proc. Entomol. Soc. Wash. 100(3):504-510.
q RIDER D.A. (2006) Description of Antiteuchus (Antiteuchus) kerzbneri, a new Discocephaline stink bug (Heteroptera: Pentatomidae) Russian Entomological Journal 15(2):201-204.
q ROLSTON L.H., AALBU R.L., MURRAY M.J. & RIDER D.A. (1993) Catalog of Tessaratomidae of the World. Papua New Guinea Journal of Agriculture, Forestry and Fisheries, 36(2):36-108.
q SADOWSKA-WODA I. & CHĖROT F. (2008) Redescription of the monotypic genus Volkeliopsis Poppius (Hemiptera: Miridae: Bryocorinae). Zootaxa, 1676: 51-56.
q SANDOVAL C.M., PABON E., JURBERG J. & GALVAO C. (2007) Belminus ferroae n. sp. from the Colombian north-east, with a key to the species of genus (Hemiptera: Reduviidae: Triatominae). Zootaxa 1443:55-64.
q SANTOS J.C., SILVEIRA F.A.O., ALMEIDA F.V.M. & FERNANDEZ W. (2005) Ecology and behavior of Pachycoris torridus (Hemiptera: Scutelleridae): new host plant, color polymorphism, maternal care and parasitism. Lundiana 6(2): 107-111.
q ZELEDON R. (2004) Some historical facts and recent issues related to the presence of Rhodnius prolixus (Stal,1859) (Hemiptera: Reduviidae) in Central America. Entomol. Vect. 11(2):236-246.
q ZELEDON R., MARIN F., CALVO N., LUGO E. & VALLE S. (2006) Distribution and ecological aspects of Rhodnius pallescens in Costa Rica and Nicaragua and their epidemiological implications. Mem Inst. Oswaldo Cruz, Rio de Janeiro 101(1):75-79.